Can Copyright Piracy be Condoned for knowledge access? A trade secret, as defined in Black’s Law Dictionary, may be a ‘formula, process, device or other business information that is kept confidential to maintain an advantage over competitors.’ Coca-Cola is one Company that succeeded in keeping the recipe of its popular drink a trade secret for almost a century. The tricky part about trade secrets and confidential information is that, in India there is no specific statute protecting the same, it can only protected through common law doctrines. Furthermore, once a trade secret or confidential information becomes publicly known either by accident or any other means it becomes information in public domain. It is for this reason that most organizations include stringent confidentiality clauses to prevent outflow of any confidential information to a competitor or any other entity. The Springboard doctrine enables an employer to prevent an erstwhile employee from gaining a head start from the use of Confidential Information. This doctrine was first enunciated in Eerrapin Ltd v Builders’ Supply Co (Hayes) Ltd where it was ruled that if a person has gained information in confidence, such person cannot be allowed to use this information as a ‘spring-board’ for carrying activities that may hamper the interests of the person/party that disclosed the information. Previously, in Zee Telefilms Ltd. and Film and Shot and Anr. v Sundial Communication Pvt. Ltd. the Bombay High Court loosely dealt with breach of confidence, the Spring board doctrine could have been useful in this case. This doctrine prevents any receiving party from misusing the information obtained in confidence from the disclosing party. The use of such confidential information gives a head start to such receiving party and may have an adverse impact on the business of the disclosing party (solicitation of clients, employees etc.) In India till now, breach of confidence has been the usual recourse for the parties however; the use of springboard doctrine may be beneficial to further establish the loss suffered on account of breach of confidentiality. With the Courts now becoming more aware of IP laws, it is quite possible that this doctrine is further explored by the Indian judiciary. Judicial Precedent is the key feature that distinguishes common law system from civil law system. This doctrine of stare decisis ensures that the junior/courts with concurrent jurisdiction must decide a case law based on the precedent before it on a similar subject matter. This brings in a sense of uniformity in deciding cases. In the case of 3M Innovative Properties Ltd & Anr. vs Venus Safety & Health Pvt. Ltd. the Delhi High Court had to determine a case alleging infringement of patent for invention titled ‘Flat Fold Personal Respiratory Protection Devices’. The Respondent in the case claimed that patent had no novelty and the major elements of the Plaintiff’s patent were prior arts and Claim 1 of the patent in question was anticipated and obvious a person skilled in the art. The Learned Single Judge perused the U.S. patents put forth by the Respondent and held that the same disclosed key elements of the Plaintiff’s patent and therefore, held that the invention disclosed in the Plaintiff’s Patent was prior art. This matter was further appealed before the division bench where the Court followed the precedent set forth by the Supreme Court in Bishwanath Prasad Radhey Shyam v Hindustan Metal Industries where the apex court had laid the principles that for an invention to be patentable it was necessary that the improvement on something already known should be more than simply ‘workshop improvement’ and should independently satisfy the ‘inventive step’ criteria. It was also the ratio of the same case that a proper way to construe a specification is to read the description first and then read the claims. The description should give a background of the invention such that a person skilled in the art can comprehend the same. This practice also ensures that the patentee cannot claim more than what he desires to patent. The division bench analyzed the previous patents and the Plaintiff’s patent and drew the conclusion that the Plaintiff’s patent was inventive and not covered by previous patents. This decision once again guides the courts that in the event of any confusion the description should be read to comprehend the claims contained therein. The anti-dissection rule in Trademark law states that two marks being compared should not be dissected into parts when deciding upon the deceptive similarity between the two; the marks should be viewed as a whole to determine deceptive similarity. There also exists the theory of dominant part of trademark which is frequently referred to in various decisions according to which a Court while observing the mark as a whole has to notice if a particular part of the mark stands out more. Prima-facie these two theories appear to be running contrary to one another but the same is not true; the two may be read harmoniously as was recently observed by the Delhi High Court in the case of M/s P.K. Overseas Pvt. Ltd. v M/s Bhagwati Lecto Vegetarians. In this case the Plaintiffs were the proprietor of the marks ‘India Slaam’ and ‘Al Habib’ and the Defendant herein was using the mark ‘Al Salaam’. It was the case of the Plaintiffs that the Defendant was passing off its goods as that of the Plaintiffs’. The Plaitiffs claimed that the mark ‘India Salaam’ was being used since 1985 and up to 2009 and the mark ‘Al Habib’ was being used from 2009 for the sale of rice; on the other hand the Defendant adopted the mark ‘Al Salaam’ in 2015 for selling rice. The Single Judge opined that in the present case the mark ‘Al Salaam’ could not be said to be similar to either ‘India Salaam’ or ‘Al Habib’. Therefore, no interim injunction order was passed and an appeal was preferred before the Division bench. The Division bench referred to the decision of South India Beverages Pvt. Ltd. vs General Mills where it was ruled that the rule of anti-dissection did not absolutely impose a restriction on considering the constituent elements of a composite mark and if a part of the entire trademark was appropriated and which may amount to infringement, there would be no violation of the anti-dissection rule. Therefore, the Court held that in the mark ‘India Salaam’ both ‘India’ and ‘Salaam’ were prominent parts of the Plaintiff’s mark; therefore the Defendant was infringing the Plaintiff’s mark. This decision though suitable for the present case, may give rise to confusion on the harmonious reading of the anti-dissection rule and theory of dominant part of trademark. There are many cases where even if a prominent part of trademark is used, the mark overall may give a completely different impression therefore, the courts must tread with caution when referring to this case in future. The debate over copyright and access to knowledge has gathered momentum in the developed countries and has now even gained mass attention in India courtesy a case filed by the renowned book publishing companies against a small photocopying shop in Delhi University. The case of The Chancellor, Masters & Scholars of the University of Oxford & Ors v Rameshwari Photocopy Services & Anr. was filed in 2013 and since then has been subject for creating divide among IP practitioners. The case was filed by the publishers against a photocopying shop in Delhi University alleging copyright infringement. The photocopier accepted that he was photocopying the books for students but it was also argued that the activities were protected under fair use as per section 52(1)(i) i.e. copying for educational purposes. The matter was recently decided by the Delhi High Court where the Court ruled that the photocopying did not amount to infringement since the copying had a direct nexus with educational purpose; furthermore the court dwelled into the issue of access to knowledge. It is known that the libraries do not have adequate number of copies of a textbook, and the cost of the academic books may not be affordable for a lot of students. Justice Endlaw’s decision makes it amply clear that access to knowledge and right to education, is not just rights to be cited in academic papers, but are to be implemented for real in India. While this decision has found support among the students and various lawyers, there are some who note this decision as contrary to the intention and tenets of the Copyright Act, 1957. The Copyright law is intended to protect the rights of the creator of a work against unauthorized copying because doing so deprives the creator of the royalty and acknowledgement due to the creator. There have been questions regarding the outcome of this decision; many are of the opinion that the decision has opened floodgates for blatant copyright infringement. This supposition however, is partially unfounded because the decision clearly limits its application to works intended to be used for educational purposes. Furthermore, many of the authors of the works pirated by the Defendant had also sided with the photocopier so it may be safely stated that this decision is exclusive to the facts and circumstances. This decision has now been appealed by the publishers; it will be interesting to note the outcome of the appeal till then one thing is clear, the outcome of this decision will have a major impact on Copyright jurisprudence in India. Furthermore, the decision will also bring the Indian copyright laws under the scanner and will spark discussions on the same in the international arena as well. If trademark depicts the source from which the goods emanate, trade dress is the factor that distinguishes a product from its competitors merely by its presentation. 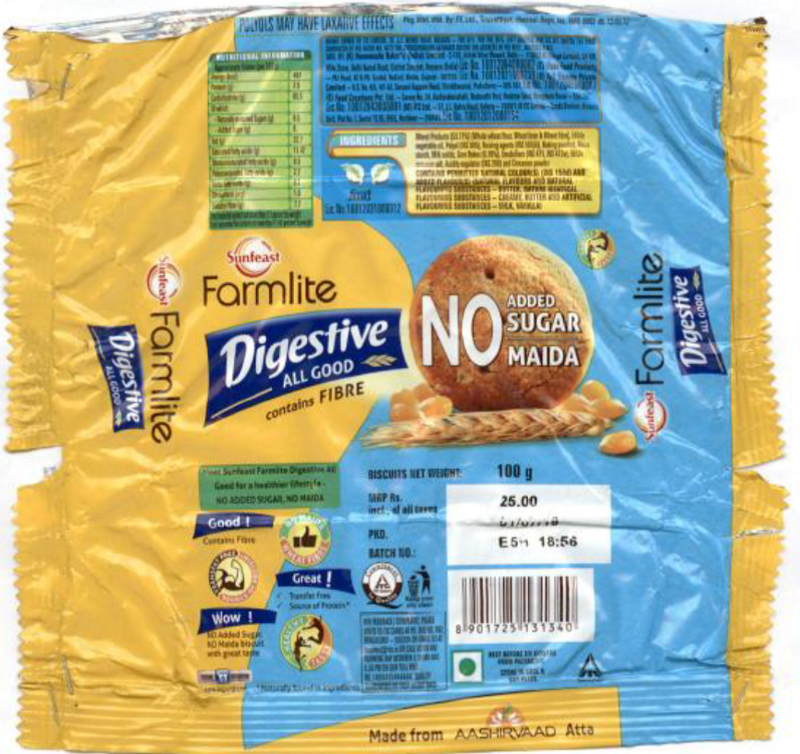 It is for this reason Corporates seek to adopt distinguished trade dress so that customers can distinguish their products from a distance for example the color purple in chocolates inadvertently reminds of Dairy Milk; and the use of a red background with an M sign in yellow immediately reminds one of Mc Donald’s. It is for this reason that companies are making investments in adopting a distinctive trade dress. Recently two big Indian MNC’s were involved in a trade dress battle. 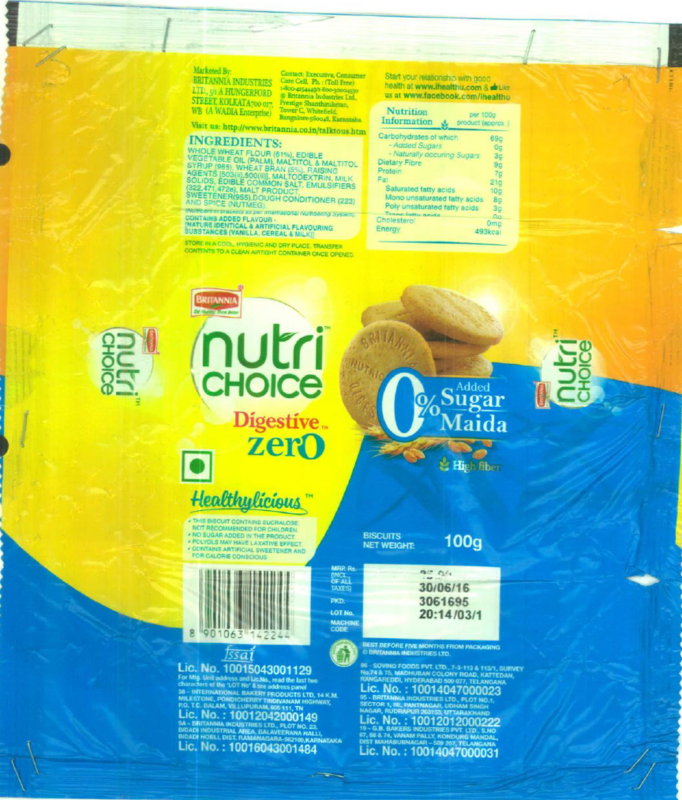 The Court agreed with the Plaintiff’s contentions and ruled that even the discerning health conscious consumers could get confused between the two biscuits because of the deceptively similar packaging. The Court further ruled that Britannia could simply change the blue color to some other color to removes the likelihood of confusion. An interim injunction order was passed in favor of the Plaintiff. While the court was correct in assessing the importance of trade dress, it is difficult to agree that the trade dresses are similar. The color combinations though yellow and blue on both the products, the shades are considerably different coupled with the fact that the two packaging have different elements on them. The trademarks are also visible on a conspicuous place thereby removing any possibility of confusion between the two. However, considering the decision is an interim order, the same may be subject to change if the matter proceeds further and is discussed on merits.